Dhaaaawwww! Don't make that face Sul! Super awesome, thanks a lot!!! Thanks a lot for Cheese! WOW, great chapter, and great job, ODDSquad! Love you guys' work! I find myself a bit puzzled as to the ending of this one. After Yoon Seop leaves and the scene changes to Jung, is there a time skip? Is everything in that "flashback" stuff that happened after Yoon Seop left, and Jung is thinking back on it (meaning break has ended with them still being broken up and now they're doing a group project together)? Some explanation would be great. Great chapter as always, though! And thank you guys so much for your hard work and speediness!! Or maybe to understand Jung? This is the anon from the last comment. Thanks for replying and clearing that up! The extended flashback just sort of confused me, I suppose because that seems like a way this story could go. 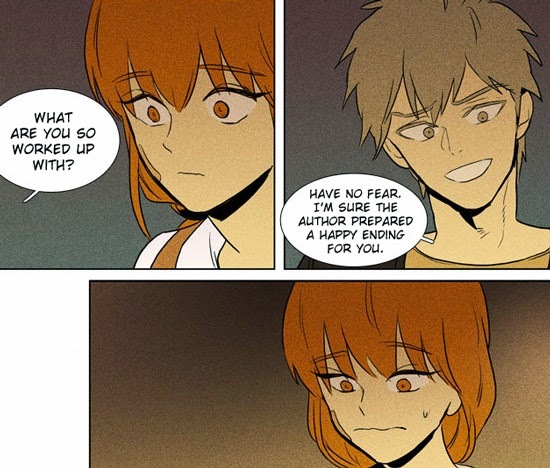 I could see Jung withdrawing into himself because he feels his actions were justified and that he was wrong to trust or reach out to anyone, and we all know Sul has a hard time with confrontation/clearing it up. Can't wait to see what happens! That's the sound of my heart shattering into a million pieces. On the other hand, thanks for the chapter!